I am so grateful for the people I knew at the start of my bodybuilding career. They gave me words of advice that prevented me from making huge mistakes that could have jeopardized my future in bodybuilding. That advice helped me get my pro card and go all the way to the biggest stage you can step on in the sport: the Mr. Olympia stage. 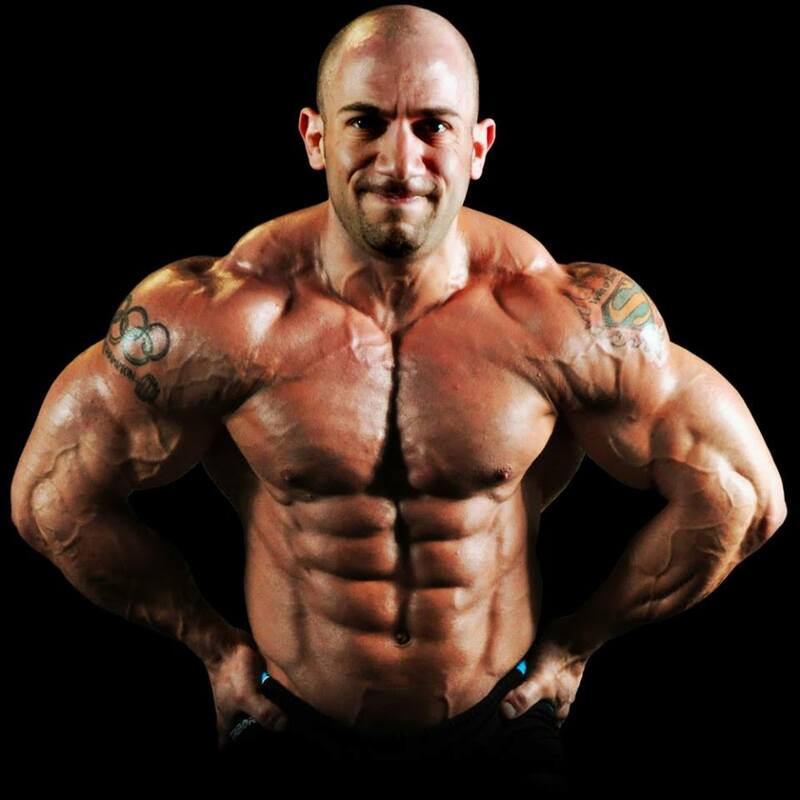 In this article, I will try to give back and share my best pieces of advice for the young, aspiring bodybuilder who is just starting his journey. The author. Photo courtesy of Amit Sapir. Especially when starting out in the sport, when it comes to food, supplements, and “supplements,” more in most cases is not better. Think about it like this: the better results you can get with minimal outside help, the more weapons you will have for the future when you really need them. Eat just enough to gain lean muscle and not to gain fat. The leaner you stay in your off season, the better. Do not go over 10-11% body fat, it will hinder your ability to gain new lean muscle mass. Staying lean will help with insulin sensitivity, general health, and will keep you disciplined and focused on making the right food choices to help you grow. Take the minimum amount of supplements you need to grow. Do that and you will be one step ahead of everyone else at all times, as you will always have a new card to pull from up your sleeve. If you use super high calories, super high doses, and every supplement under the sun in the first few years, what will you add when will you actually need it? Your body is the best machine you will ever have, trust it and do the work! Get strong in the big compound movements and do them as often as training allows. I cannot put into words how much I miss the days when my body allowed me to squat almost daily, to deadlift three times a week, and to bench or overhead press every day and still get bigger and stronger. Those years created the base of my physique. My ability to train hard daily and the strength gains I got are still serving me till this day. When you are young and fresh, your body’s ability to recover quickly is nothing short of remarkable. If I only had the knowledge I have today with the physical abilities I had from 18 to 28 I’d have been invincible. I got better and stronger by the week and injuries were just something that couldn’t happen to me. I miss that resilience. Take advantage of being young and push as hard as you can, don’t waste time on anything that is not challenging you. In this period of your life, the amount of hard work you will put in your training will determine your potential to be great down the road. I knew the day I started bodybuilding that I would be on the Olympia stage. It was my only goal. I said that to anyone who was willing to listen (and also to the ones who were not so willing). You don’t have the genetics”. By the way, I have two amazing young boys, and I am healthy as a horse. Proving those people wrong was one of my more significant motivators during my career. However, you will only get to your Grand Goal if you focus on the boring, unexciting daily grind. All those workouts I did when everyone else was partying, the cardio I did in the rain for months, working with my clients and trying to smile to them while I am starving and cranky from the diet. Every single one of those was a little goal and a small win that I got daily. Winning those minimal and attainable goals helped me to attain the mindset that no matter what goal I decide to put my mind and body through, I will achieve it. The way to make it work is to put a specific time frame on every goal and to ask someone you trust to hold you accountable to this time frame and goal. For example: “In the next six weeks I will lose 2% body fat.” Or, “In two months, I will get 12 reps with a 405-pound squat.” Repeat and internalize these goals so that you’ll be motivated to get out of bed and to get the job done even when the motivation is not always there. Your yearly goals should be winning small shows. After you have your yearly goals in place, break them into the daily, weekly, and monthly steps that are needed for making this goal into reality. Then go for it with everything you have. “It is not about how hard you hit, it’s about how much you can take and keep moving forward.” There’s no truer cliché when it comes to the sport of bodybuilding. I finished dead last in my second pro show. It was the most laborious prep I ever had, and I gave it every ounce of my soul. Getting the last call out was the probably only time in my career that I thought I should quit and find a real job. My loved ones talked me out of it, and I went back to the drawing board and worked even harder for my next show — where I qualified for Mr. Olympia, the top of the world in bodybuilding standards. I remember thinking that was God’s way of testing me to see how much I wanted it. You cannot knock down the person who keeps getting up, and if you want a real chance in this sport, you will need to learn to have the capacity to crash and rise. As long as you are ok with it, then your dream will stay alive. Failure does not mean the end. Quitting does. When you aim for a goal that is big and difficult to achieve, that also means that you are exposing yourself to a chance that things can go sideways. In a sport where money is not significant and there’s a lot of health risks, it would be wise to have a safety net. I’ve seen people risking and losing every dollar they have and ending up in the hospital with no money to pay for the doctor bill. Dream big, but be smart, and take into consideration the worst case scenario. Remember that no matter what, if you end up achieving your dream or not, life is more significant than a pro card or any victory. Have one day a week that is as unrelated to bodybuilding as humanly possible. Spend time with your loved ones. If possible, have a weekly cheat meal when you do not think about macros at all. Pick one day a week to get outside, stay far away from the gym, and do other fun stuff that you would never do on a training day. This day will be your mental and physical recharge day. A few more final words: have an extensive health insurance, save as much money as you can (the better you get, the more expensive this sport becomes), treat your health with the same respect and attention you give your performance in the gym (that means blood tests every 8 weeks), and supplement for general health, not just your appearance. And spend time with loved ones. Yes, I know I just said that, but read it again. Trust me, in the end, they are more important than any pro card or a victory. Featured image via @schwarzenegger on Instagram.